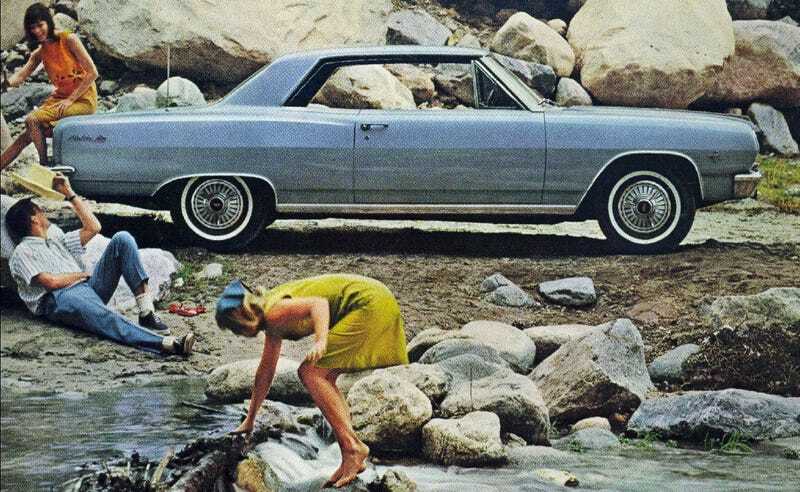 A smartly built 1965 Chevy Malibu SS is here to remind us all that if somebody wants to have a nice car in America, the land of the free can make that happen in a heartbeat. Having the right amount of horsepower is a crucial part of building an awesome ride. Give a car too much, and it will be stressful to drive. Make it underpowered, and you’ll keep wanting more. In the case of a ‘65 Malibu with brake and suspension upgrades, the correct amount seems to be around 520 horsepower thanks to a carbureted LS1 linked to a Viper’s manual gearbox. But no matter what you have, the beauty of America is that there’s plenty of old metal out there, and the aftermarket possibilities are pretty much endless. Trust me, Europeans don’t have this kind of access to parts you can just bolt on, and the regulations regarding engine swaps are much tighter as well, not to mention the financial side of it.